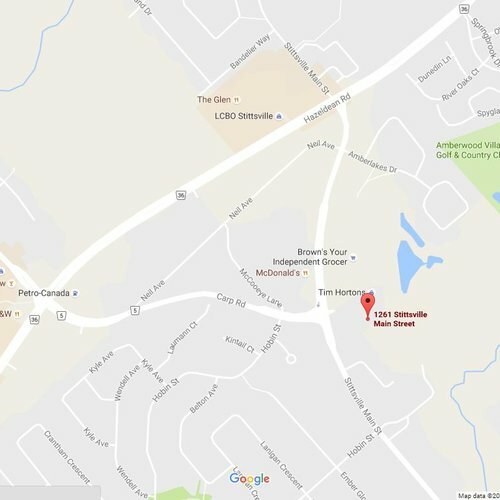 Our office is conveniently located at 1261 Stittsville Main Street, adjacent to Scotiabank and Tim Hortons in the Shops of Main Street. From the 417, exit on Carp Road and travel south to Main Street. We are at the intersection of Carp Road and Stittsville Main St.
From Kanata, follow Hazeldean Road south and turn left to 1261 Stittsville Main.